I gave this series fanlisting a major revamp last year, with a new layout and title. But after getting the fanlisting for my OTP recently, I decided that both the title and layout were more fitting for the OTP so I reverted the series back to its old layout and title. Eventually I will give it another design. 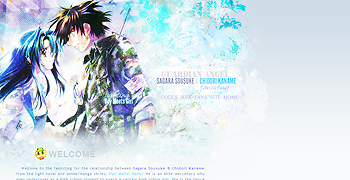 Design: …So the OTP fanlisting is now skinned! 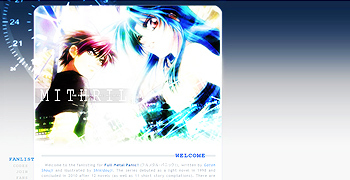 With the layout I originally made for the series fanlisting ^^; The layout and title were more appropriate for the OTP anyway. I tinkered with the layout to change a few things. 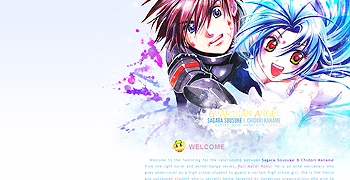 Filed under FMP: Sousuke/Kaname, Full Metal Panic! – Buttons: Made 63 buttons.